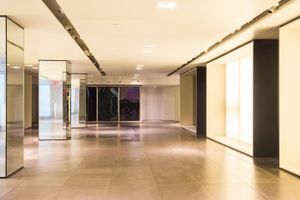 This amazing flagship retail space is situated in a prime shopping area close to Central Park and offers an unparalleled branding opportunity. 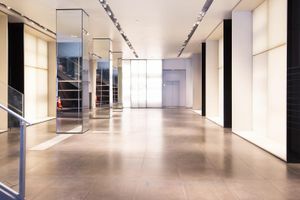 Divided over four rooms this venue is ideal for Pop-Up Shops, Luxury Ready-To-Wear Retail, Private Sales and Showrooms. 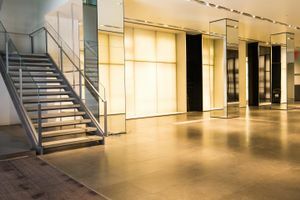 With a 52 ft frontage on a reputable shopping avenue, the atmosphere of this store is sophisticated and high-end. 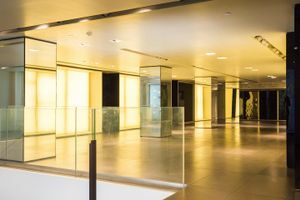 The interiors are modern with lighting features in the walls, mirrored pillars and a stone tiled floor. High ceilings with sleek spotlighting create an open and bright ambience. This store is well facilitated with fitting and stock rooms, counters, sound equipment, street level access and a security system. 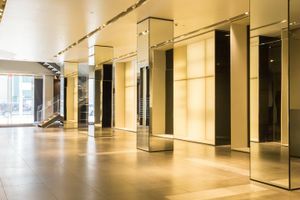 This shop has unprecedented visibility in an area popular with high-end brands and fashion forward shoppers. 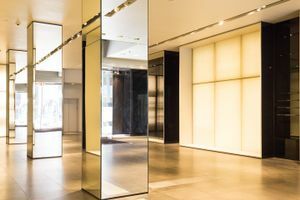 With neighbors include Prada, Fendi, Bottega Veneta and Hermes, this is a unique opportunity to build presence with an outstanding Pop-Up retail experience.